Ever ask yourself why a gym is stocked with weights? There is a very good reason for it and when you fully understand the reason your training takes on new clarity. We lift weights to build muscles – but why are the weights even necessary? Well, suppose you want to build up your biceps. Why not just sit watching TV and flex your empty arm up and down a thousand times while watching Boardwalk Empire? Hey, a thousand reps has to build some muscle, right? Nope. It probably won’t add a gram of mass to your biceps. The way muscle is stimulated to grow is by being forced to work at or near the limits of its ability. We have to load the muscle with work. We no longer roll giant boulders away from our doorway or drag a heavy deer back to the cave to naturally build our muscles throughout our lives. We drive cars with power steering and drop our food into a shopping cart, so we need an artificial means to create heavy, strenuous work. A gym is filled with artificial loads to make that possible. Ever since 1687 and our friend Isaac Newton we’ve known that the quantities involved in lifting can be exactly measure. In our case we want to know the amount of weight lifted per unit of time; say, lbs per minute, or kilos per second. The guy watching TV lifts a very small weight and it takes him hours to complete his exercise to exhaustion. A man in a gym can pick up a very heavy dumbbell and in seconds his biceps is completely exhausted. The problem is that gyms have a variety of weights and it can lead to thinking that one is basically as good as another since lifting something is better than lifting nothing. But not only are the weights not equal, the loads they deliver are wildly unequal! 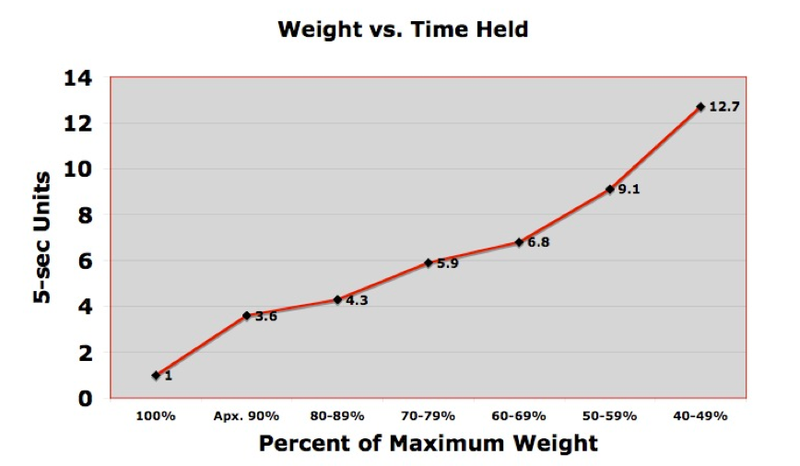 Let me ask you this, if you lift 50% of your maximum weight do you think it will deliver 50% of your maximum intensity? Sounds logical, right? We measured a group of men on the bench press. We tested how heavy a weight they could hold statically for five seconds. Then we tested how long they could hold lighter weights. See that chart below? When the weight was about half their maximum they could hold that weight 12 times longer! Do you know what that does to the weight/time calculation of intensity? It delivers 5% of the maximum. Five percent! Even a cave man didn’t get stronger when he dragged home a rabbit instead of a deer. The same goes for us. Working at a small fraction of peak output will not stimulate new muscle growth. So why are the lighter weights in the gym? Well, they are there for someone who isn’t you. The ‘light’ weights are there for the 90-lb woman or the young teenager for whom your ‘light’ weight is the absolute max they can lift. Never listen to the old bromide about ‘light weights for definition, heavy weights for mass.’ A muscle can do three things: get bigger, get smaller or stay the same size. If you can’t see a muscle (low definition) that muscle needs to be bigger or the fat around it needs to go away and likely a bit of both. There are no ‘definition’ exercises or special weights for increasing muscle definition. Bigger, smaller or same size, which do you want? If you want bigger muscles you have to force them to grow and that means making them perform a great amount of work per unit of time. So do you want 100% intensity or 5% intensity? I read Train Smart in January of this year and did 12 weeks of it. Of course it was incredible and totally changed my thinking on everything to do with strength training. After taking about six months all when I finished the 12 weeks, I started train smart again about 1 1/2 months ago. It took no time to gain the strength back. I am up to training every two weeks now and love what little time I have to spend in the gym. There is one thing, though, that I did not gain. And that is size. I am very small framed, 5’5″ and around 170 pounds. I’ve never had trouble getting stronger, but gaining size has always eluded me. In January before starting Train Smart, I took full body measurements anticipating an increase in size. I took the same measurements 12 weeks later and there was zero difference and no weight gain. I was obviously stronger and I even noticed an increased “hardness “of my muscles. Thus, I have a theory about gaining mass. I believe that gaining mass is a hereditary trait more than anything. I have been around guys who could gain an inch on their arms by reading Ironman. I don’t think that I would gain any size if I could bench press 1000 pounds. I can name person after person that has more muscle mass than I but that I am 50% stronger than they. Therefore, I believe that “a stronger muscle is a bigger muscle” is only true in certain individuals. And people like myself, neuromuscular efficiency is all that is happening. Gaming mass must require a different protocol. Thanks for the nice words, Johnny. The hard truth trainers never want to tell people is that muscle size is largely genetic. Some guys are natural behemoths and some are ectomorphs who are perfectly suited to running marathons. 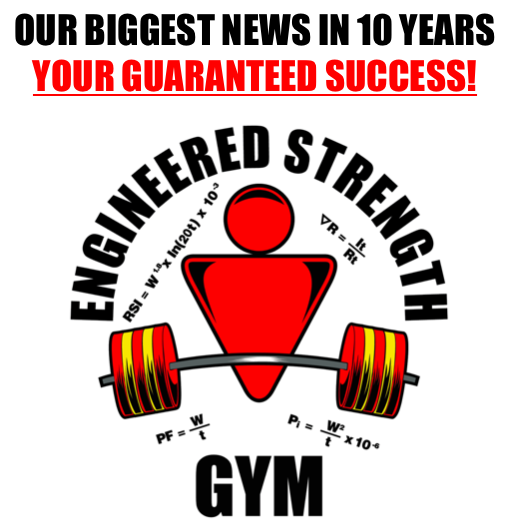 I talk about it more in this post – http://www.precisiontraining.com/strength-training-and-size-gains/ – notice there are nearly 300 comments! But the whole point of static contraction training is that you’re training optimally for strength, not size. Therefore your muscles will become very dense and hard (myofibrillar hypertrophy) . If you wanted big and swollen muscles you would perform exercises with lesser weight and more repetitions – sarcoplasmic hypertrophy. Body type and genetics do play a huge roll but so does the training type and diet. If you are training for strength you will get bigger but not as big as training for size and visa versa. I must be of the few that thinks it fascinating that some individuals muscles are capable of great strength gains without much noticeable size gain. Speaks of the great efficiency of the human body. I am 52 years old and my joints don´t feel very well with Heavy weights , so I have to train with light weights at slow pace. Sorry to hear that. Have you tried limiting the range of motion to the pain-free range (if you have one) and then increasing the weights? I take it you have gained strength with very little size gain? I think it’s interesting to hear about different people’s training progress and experiences. I have been reading Pete’s stuff since since probably about ’92. 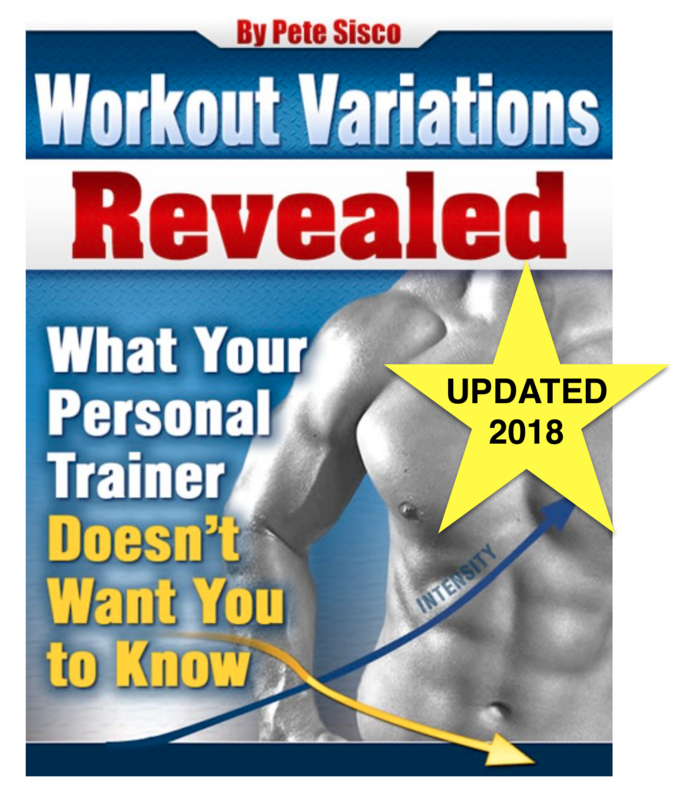 I have incorporated his ideas and recommendations into my own workouts. You will eventually gain size. It may take longer than the 12 weeks you mentioned. Mike Mentzer went sometimes as long as FOUR months without gaining size. – John Little: “That is the principle of progression. Increasing the intensity of your muscular contractions brings about improvements in strength and size. Then you have to increase the intensity or overload to new levels if you desire to progress further in size and strength. The sequential overloading of the muscles to high levels is called *progression*. My followup to these quotes is that, I’ve had the same experience. My muscles will grow bigger and stronger, then – for a while – they will grow stronger…….and then eventually…..WHAM….they get bigger again. Thus it is my hypothesis that your current muscular size has a strength limit that it must reach before it says “I gotta build new fibers to store more strength!”. Or something like that. Its also true that very often, your fat levels will decrease while your size levels increase, both simultaneously. This will leave a false impression that you’ve gained no size……when you actually have! He’s spot on. Just be patient. Rome wasn’t built in a day. oh come on muscle growth is painfully slow….can’t be measured in 12 weeks. Maybe 6 months…and only if.. Diet counts a lot….if you are not in a slight calorie debit you aren’t putting on on…you know this? Where else can muscle growth come from? How healthy are you? Some, drink, drugs? Sleep, rest, stress? etc…It matters.